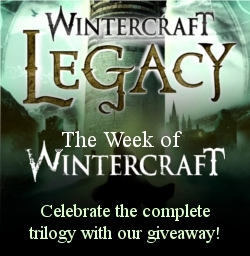 Serendipity Reviews: Wintercraft: Legacy Has Finally Arrived! Wintercraft: Legacy Has Finally Arrived! Oh my goodness! The time has arrived for the final instalment of Jenna Burtenshaw's amazing Wintercraft trilogy! The final book Legacy was published last week! I am sooo excited. I really have enjoyed this trilogy and I can't wait to find out what happens. 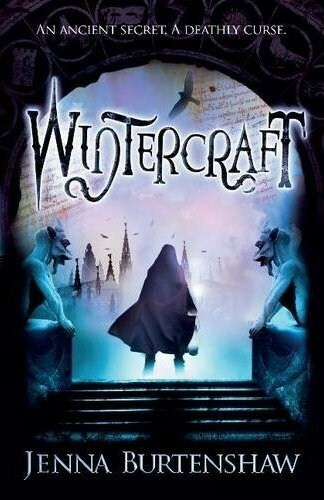 The lovely peeps at Headline want to share this love with you guys and have offered to give one person the complete set of Wintercraft books. That is all THREE books in the series for you to enjoy. How amazing is that! The covers are just stunning and the trilogy will sweep you away. I want everyone to read this series! If you would like to win all three books in the series, please just fill out the Rafflecopter below. This is a UK only competition and will close on the 22nd May. Eye-catching covers, I know Niece #2 highly rates the first two books as great reads.